Picked from various sources, this STARS file now includes 7264 different star names (previous version had only 7208). 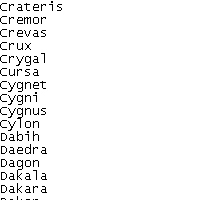 Place the contained STARS.txt in the /Data/English folder of GC2, DA or TA. Its a winner in my book!